Ricoh Imaging Americas Corp. today announced it has added a full-featured, affordably-priced mid-range model to its pioneering line of Theta 360-degree spherical imaging cameras. Merging advanced imaging capabilities with simplified operation, the new Ricoh Theta SC is designed to appeal to the growing numbers of consumers interested in capturing and sharing 360-degree photos and videos. 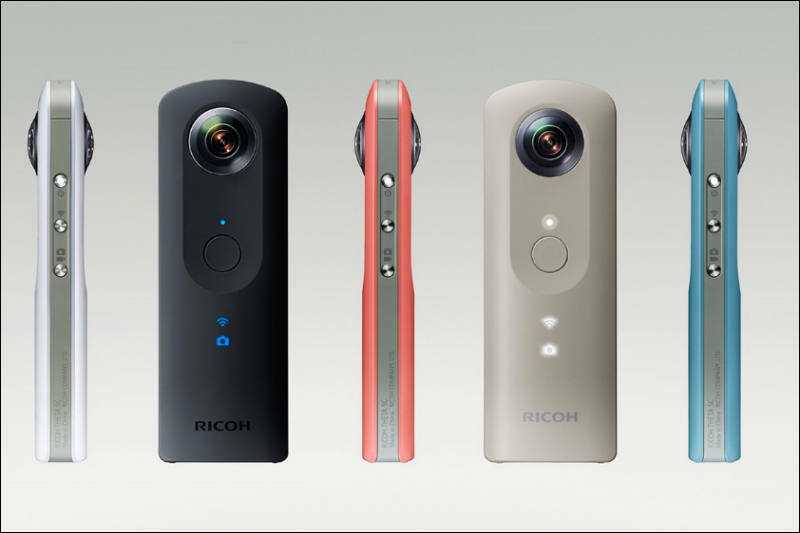 The Ricoh Theta SC is now at http://www.ricohimaging.com and retail outlets nationwide for a manufacturer’s suggested retail price of $299.95 . We are pleased to announce the release of a ‘Limited Edition’ collaboration model 360-degree camera “RICOH THETA SC Type HATSUNE MIKU,to celebrate the 10th anniversary of “Hatsune Miku”. The “RICOH THETA SC Type HATSUNE MIKU” is based on the “RICOH THETA SC” (released in October 2016). This ‘Limited Edition’ camera features an official “Hatsune Miku” illustration specially drawn by the illustrator KEI on a blue/green body, the theme colour for Miku. The shutter sound has also been modified, to replicate that of a traditional camera. Images shot in 360-degrees can also be imported into the dedicated image editing application “RICOH THETA Type HATSUNE MIKU”*1 so that “Hatsune Miku” can be part of your shot. In addition, this product includes a “dog tag key holder” printed with a serial number (on the first 3,939 units) and an exclusive colour “ABITAX case” in a presentation box. The dog tag key holder and presentation box feature an illustration by fuzichoco, exclusive to this ‘Limited Edition’ package. Pink LED power button “Hatsune Miku” original shutter sound through cooperation with Crypton Future Media, Inc.
A virtual singer software character developed by Crypton Future Media, Inc. which can be used to make everyone sing after inputting the song lyrics and melody. “Hatsune Miku” was released in 2007 and attracted attention as a “character” and is currently active on many levels such as in product development and performing live as a virtual singer.